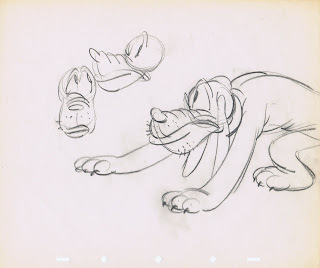 Today Sept. 7, 2011 marks the 100th birthday of Disney animation genius Fred Moore. 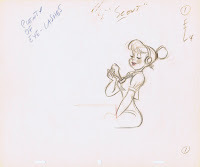 So let's celebrate and have a toast to Fred, whose beautiful work touched most of us in a big way. 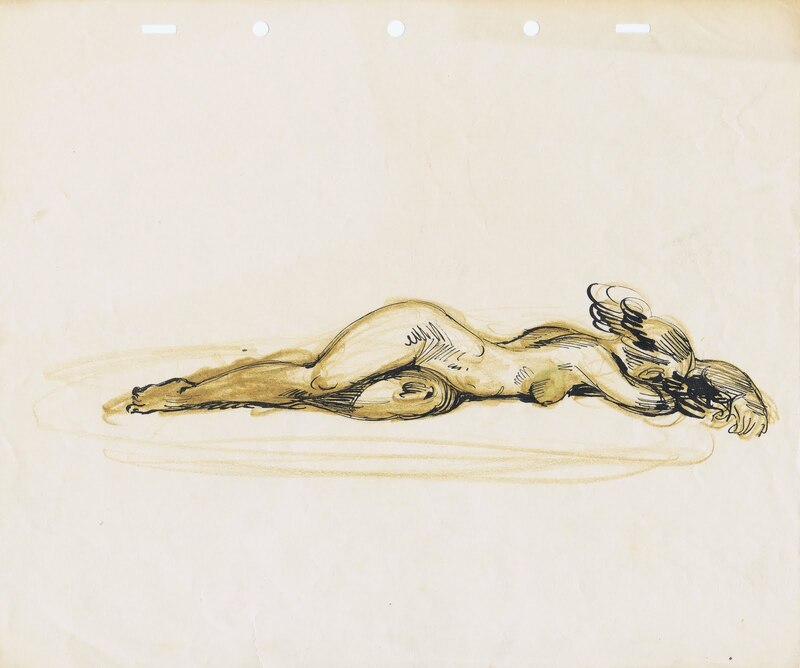 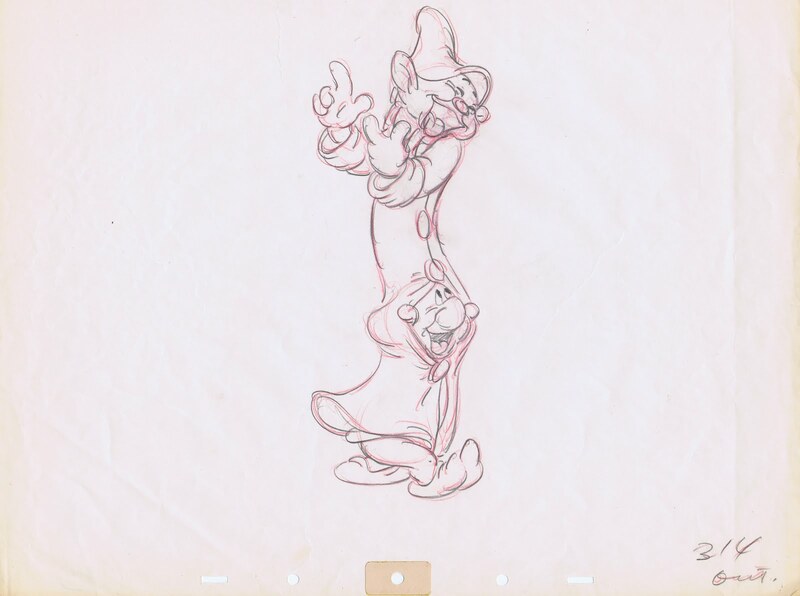 His natural, uncomplicated way of drawing and animating will be an inspiration for generations to come. 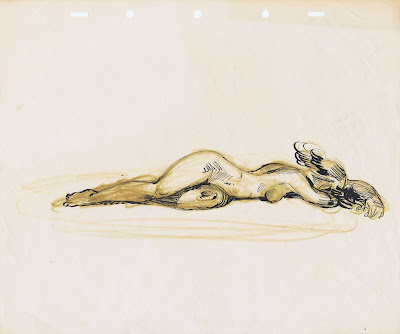 And when it comes to appeal, everybody can still learn from Fred Moore. 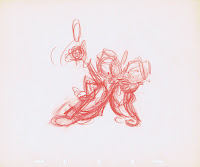 I tried to pull together some of his drawings that most likely you haven't seen before. 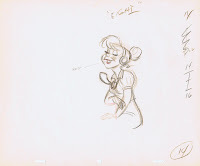 There is a great Happy Birthday illustration with a self portrait. 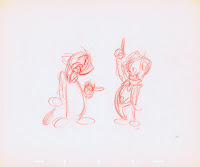 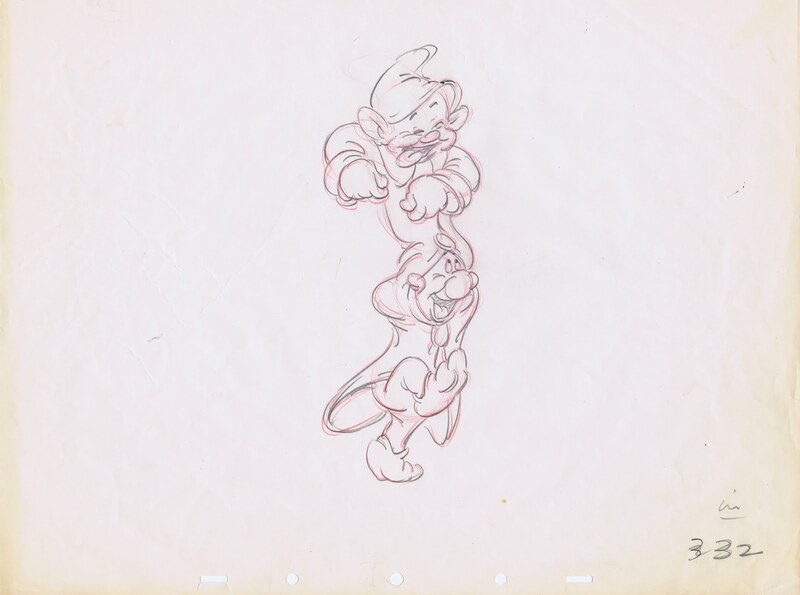 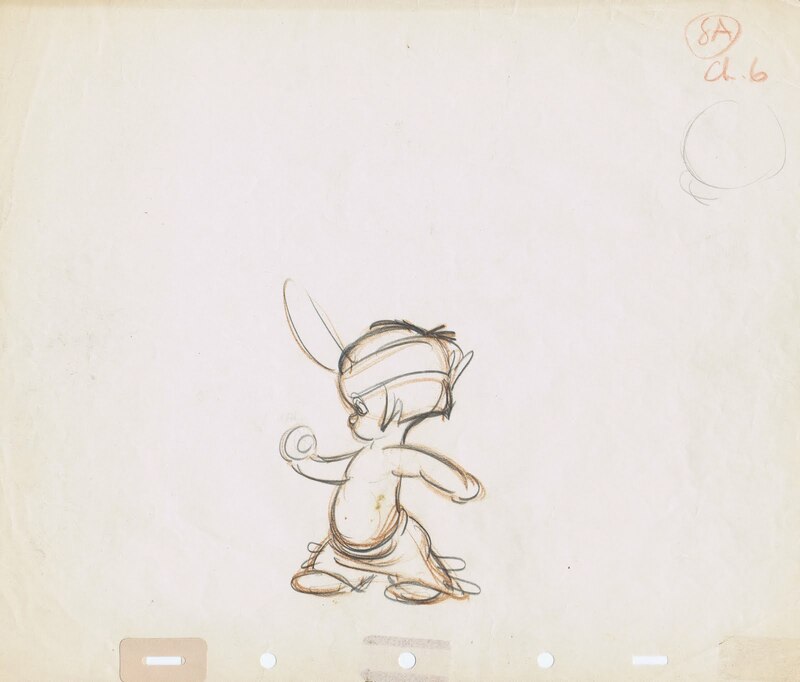 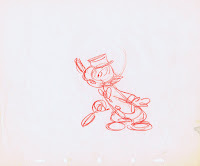 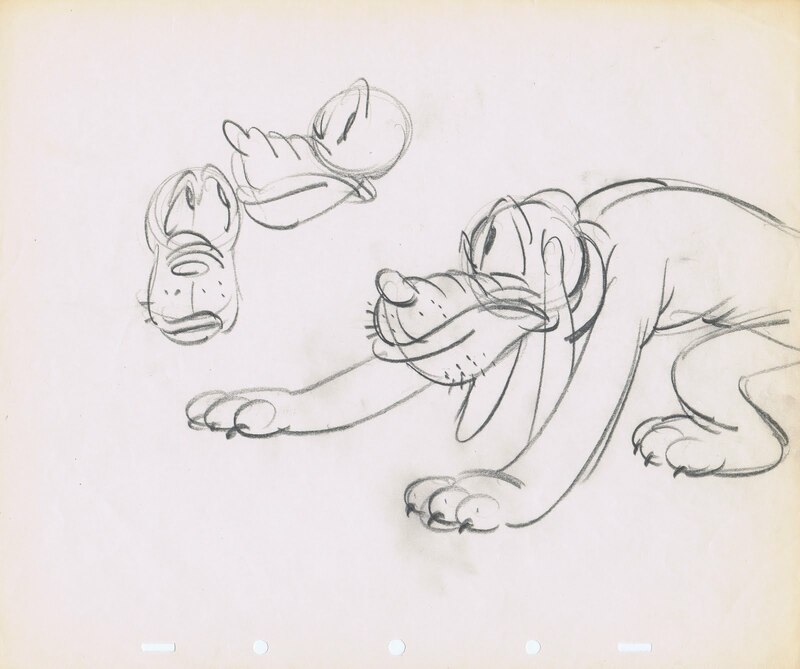 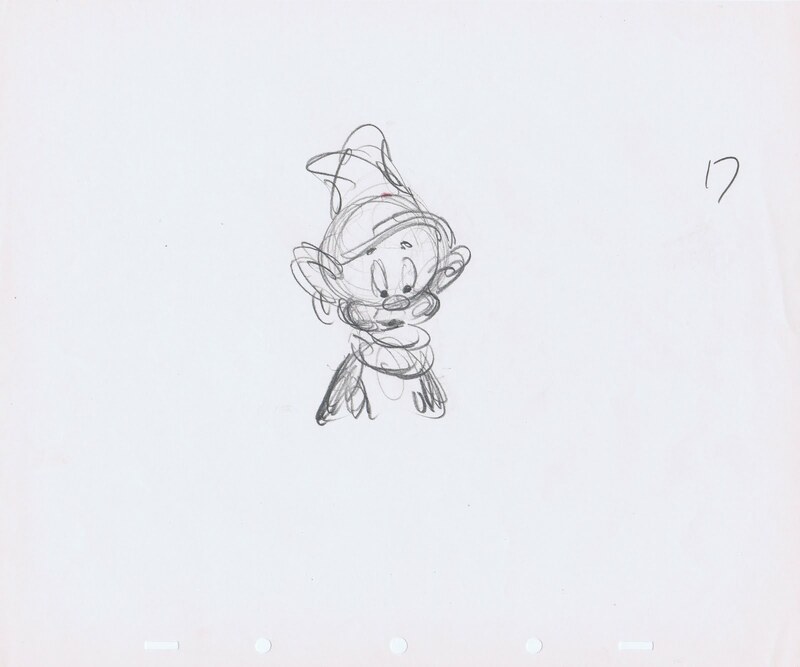 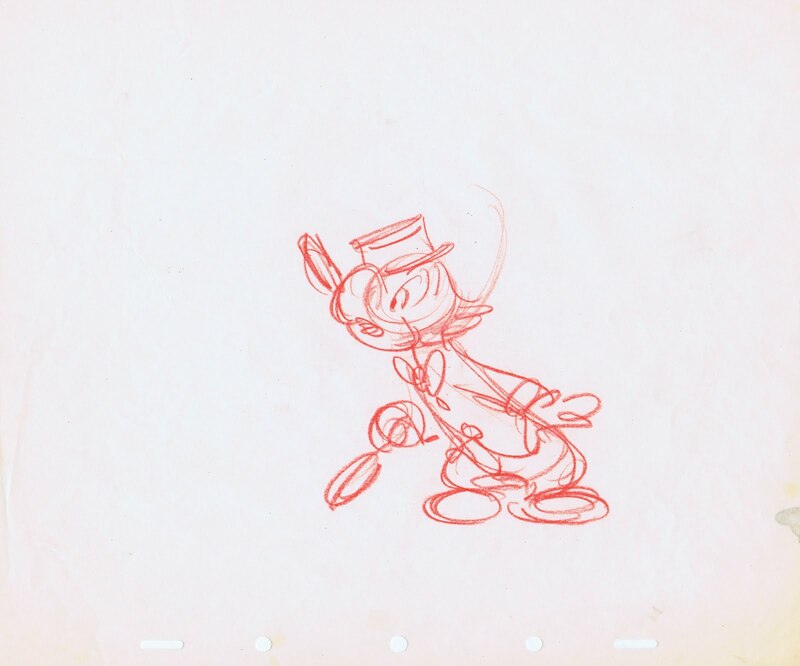 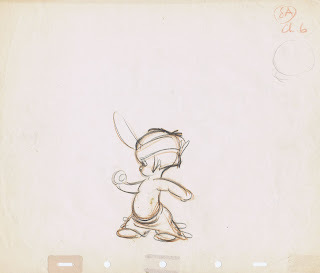 The sketch of Mickey shows how much he made the character his own. 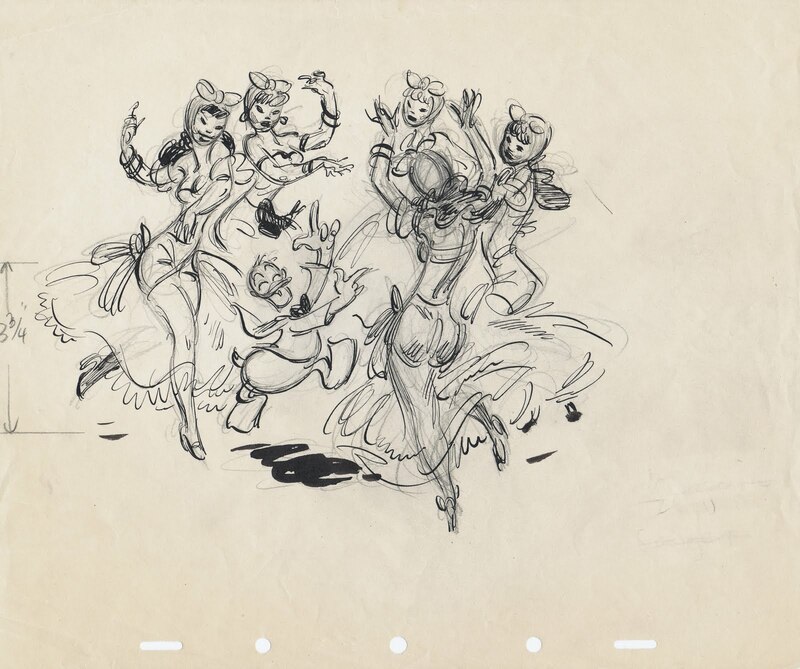 The proportions, the action and the charm are wonderful. 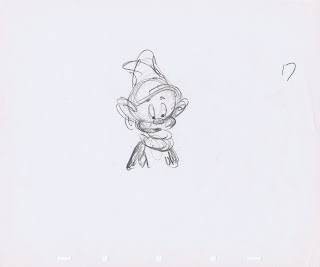 and how much he loved animating. 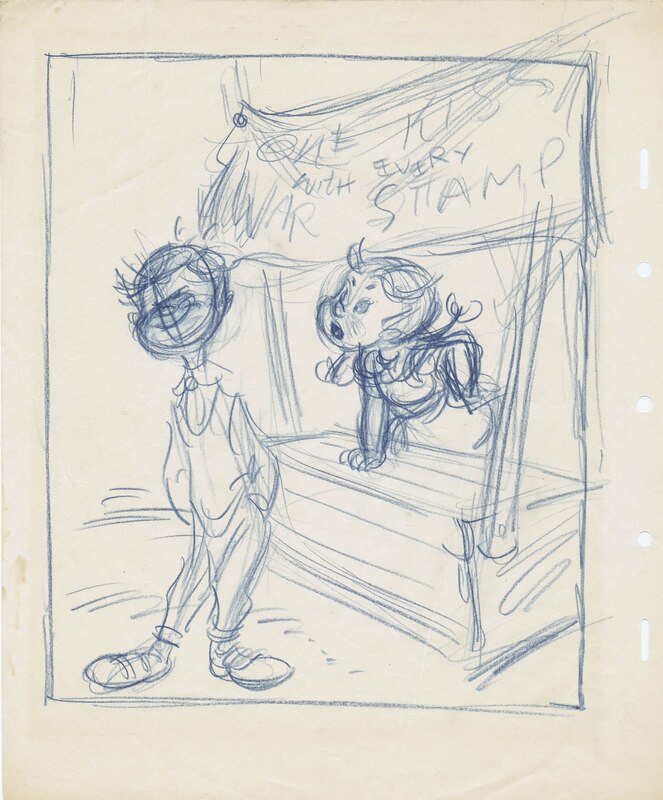 I don't know what the layout with the two kids was done for, a propaganda short or a poster? 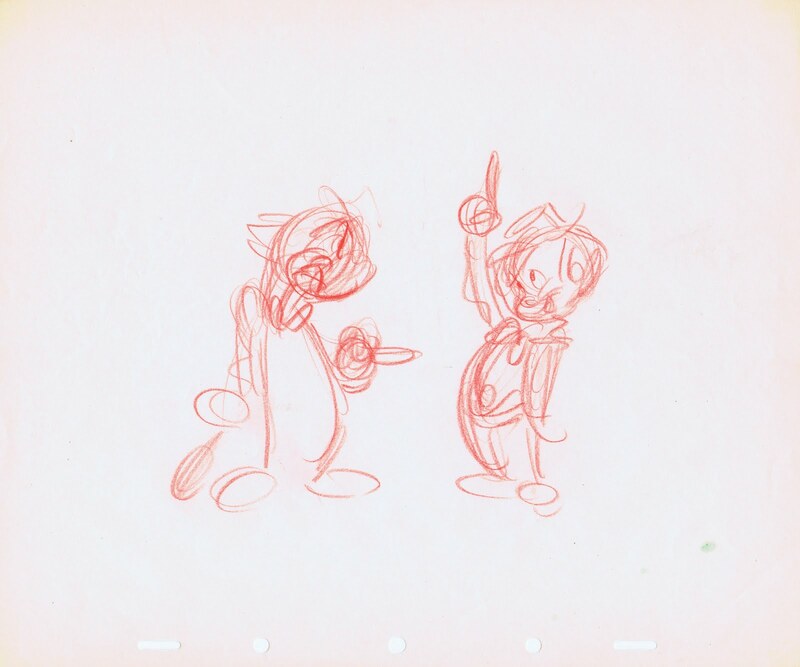 The poses of Jose Carioca and Panchito are from from an unproduced short. 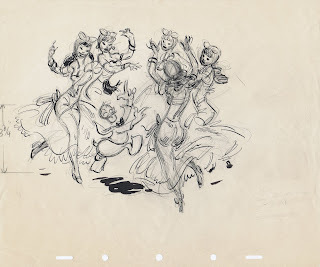 Loose and so full of life. 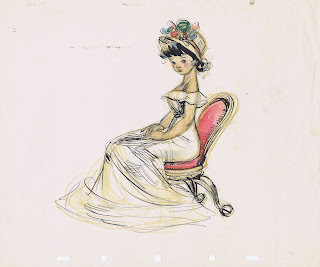 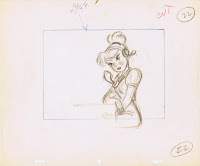 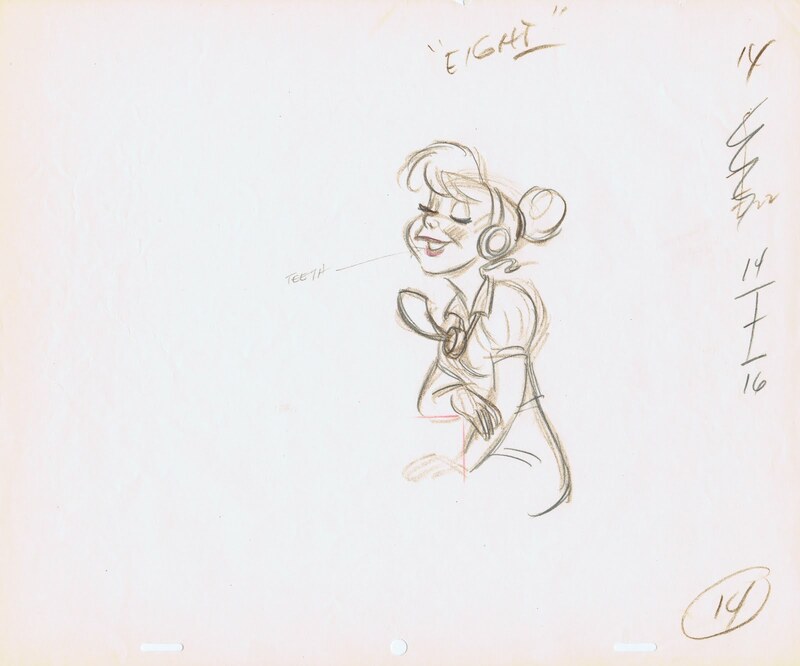 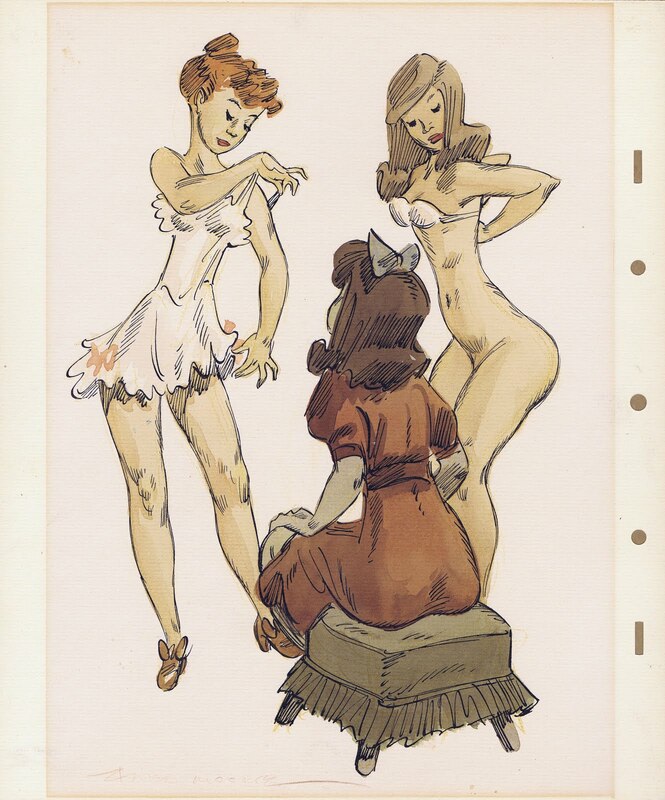 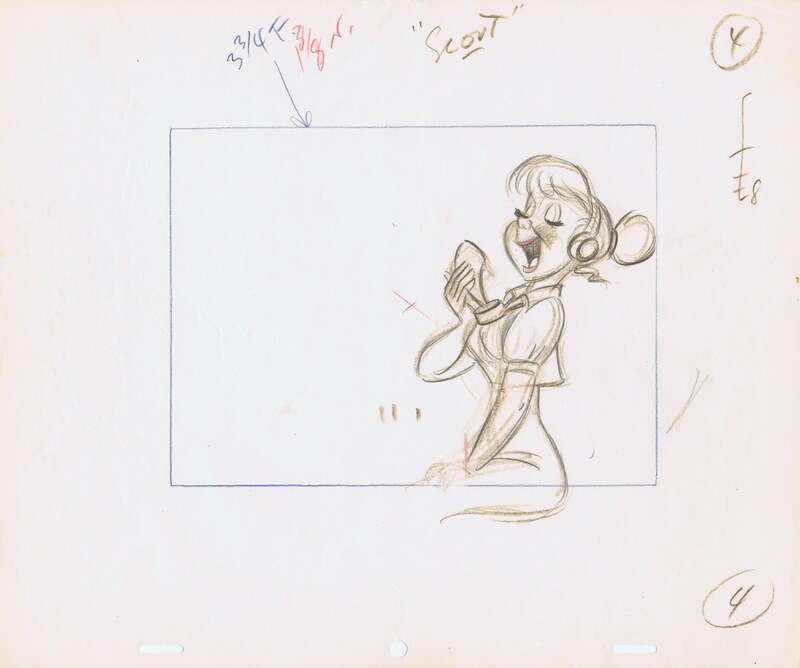 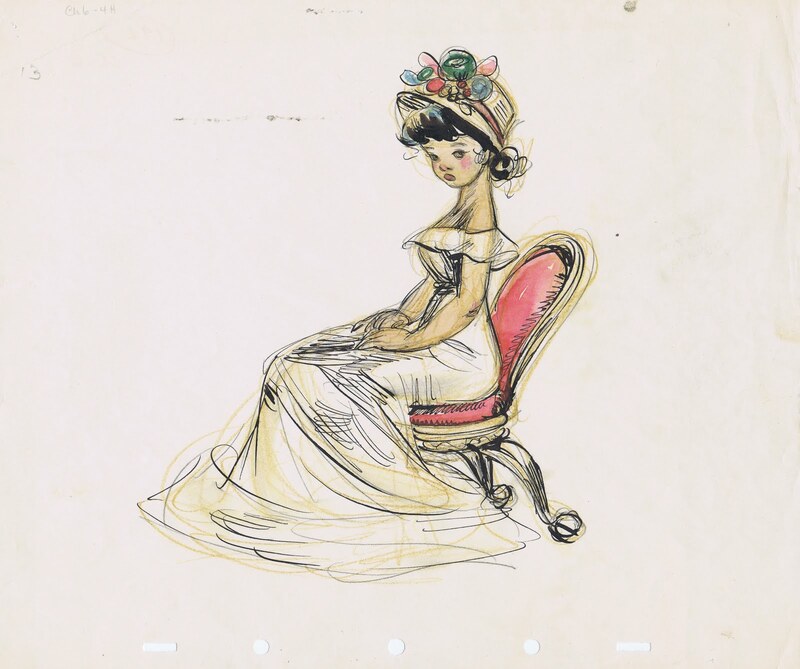 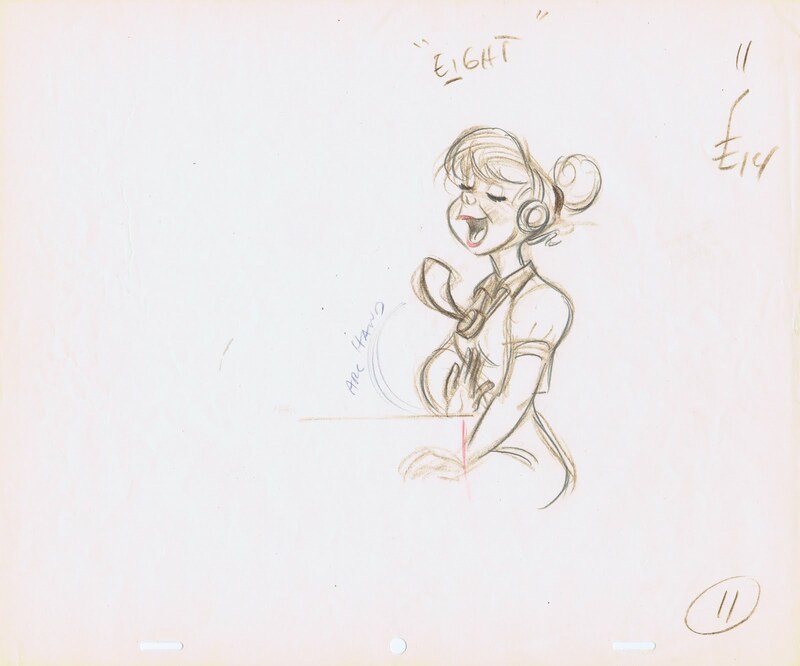 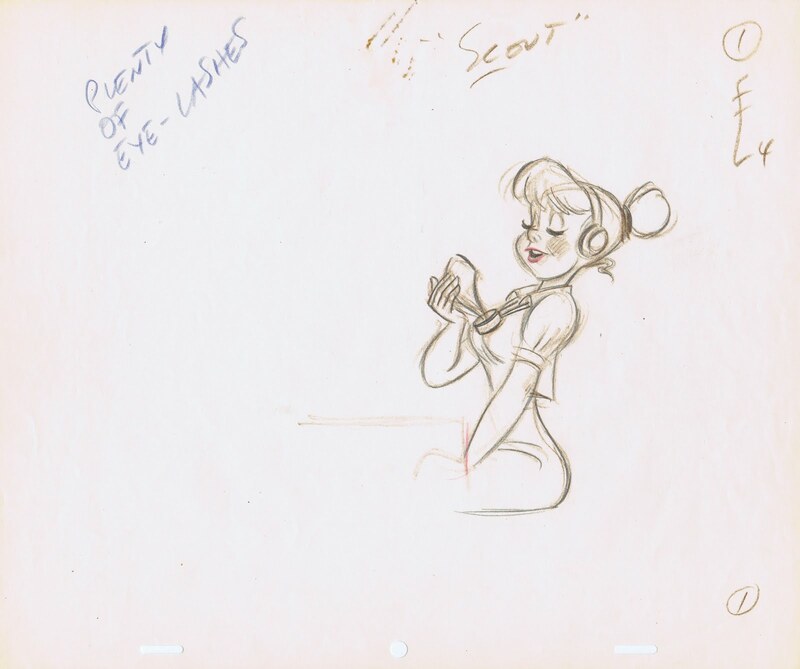 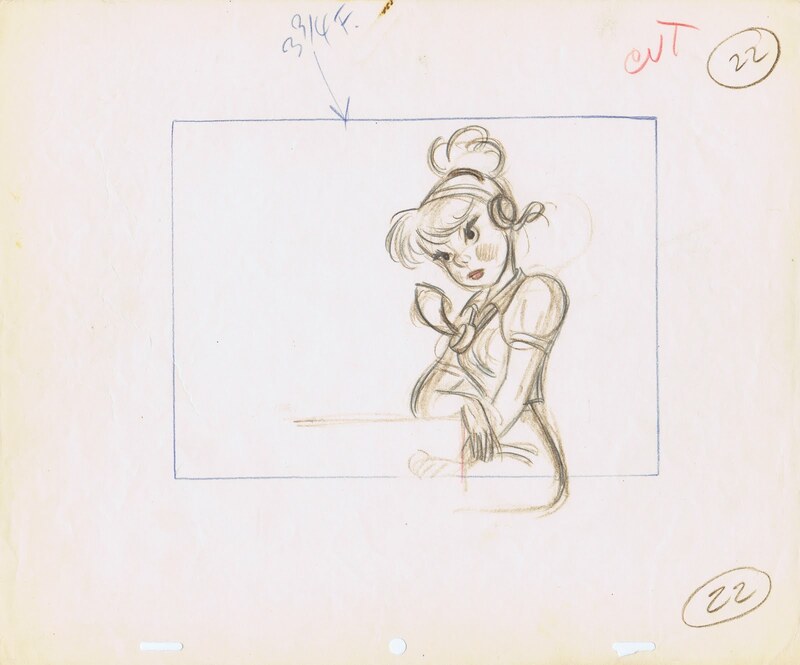 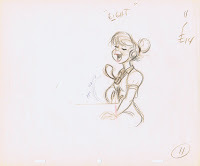 The key drawings of the girl telephone operator ("Casey bats again" 1954) indicate how Fred handled the slow change into a somewhat graphic animation style at Disney. 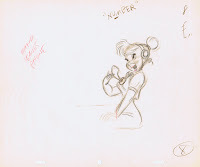 Of course I had to add a few beautiful Freddie girls, they were popular then, and they are popular now. 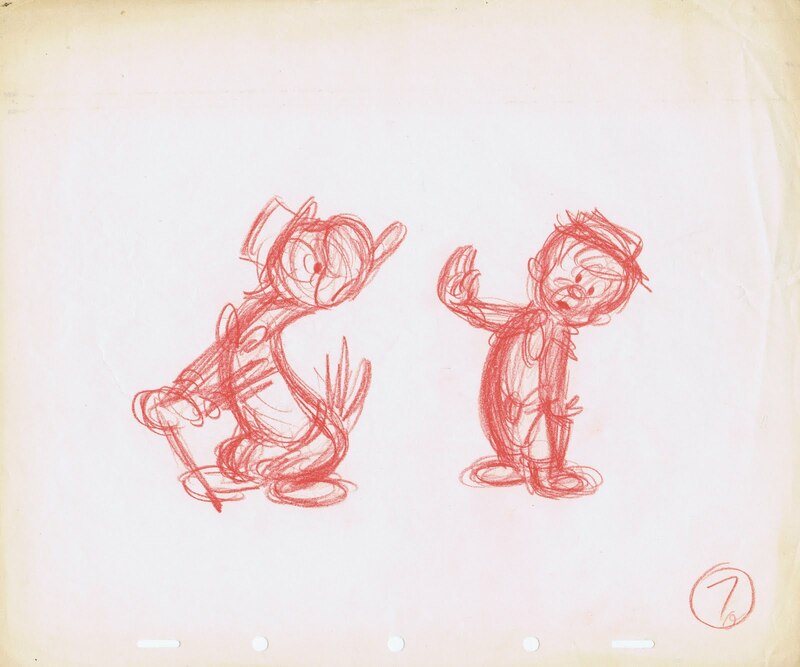 The partial exposure sheet is for a scene from "The Three Caballeros" which was cut from the film. 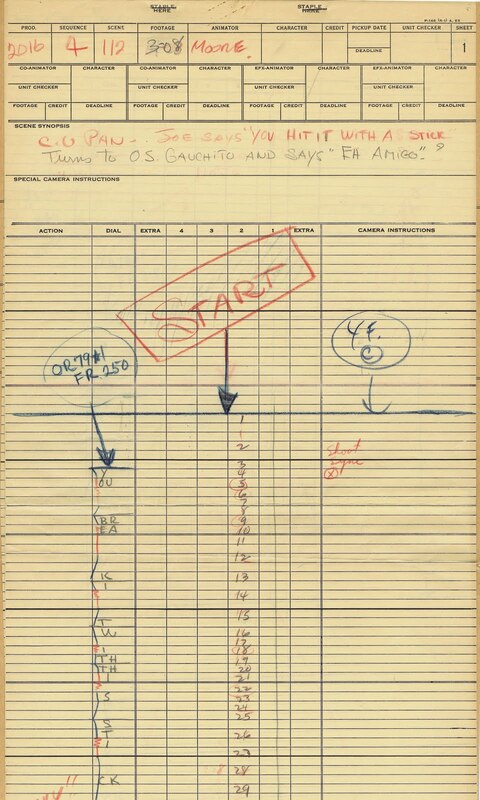 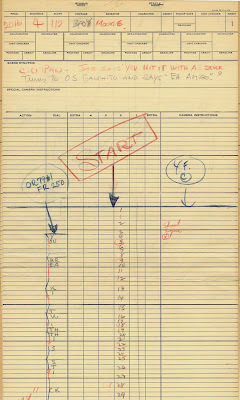 But it's fun to look at a real Moore X-sheet! 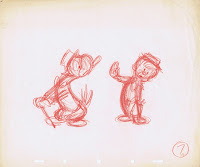 Fred influenced animation and its aesthetics in a profound way, and I know that my childhood was so much happier because of that.